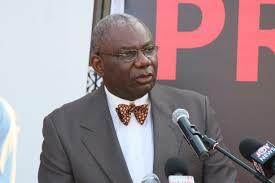 Anti-graft group OccupyGhana has backed calls for a probe into the bribery scandal that has hit parliament. In a statement, the group said it is profoundly disturbed by the scandal and wants a Police investigations and prosecutions, if people are found culpable. “We call for an independent Police investigation into the damning allegations and a no-holds-barred criminal prosecution of anyone found to be on the wrong side of Ghanaian law in this scandalous development. In the same vein, we demand the harshest of parliamentary and possibly criminal sanctions for those making the allegations if they prove to be false. We respectfully call on the Police CID to immediately empanel a team to commence investigations and establish the truth, or the lack thereof, in any part of the nation-wrecking allegations,” the statement said. MP for Bawku Central Mahama Ayariga and two other minority MPs on the Appointments Committee have alleged that attempts were made to bribe them to pass the then Energy minister-designate, Boakye Agyarko, after his vetting. Both the Minority leader Haruna Iddrisu and chairman of the appointments Committee Joe Osei Owusu have called for investigations into the claim. Having been profoundly disturbed by the exposés of palpable judicial corruption in Ghana’s courts, and working tirelessly over the space of our existence to help stamp out corruption in executive governance and in public service, we are unhappy about the allegations of parliamentary corruption and bribery being made by MPs against some of their number and others. We absolutely refuse to allow Ghana’s Parliament to either add itself to the list of the country’s most corrupt institutions or become a citadel of false allegations, and our demand for this probe will settle the matter of whether or not our legislative arm of government can be trusted to uphold the rule of Law in the Ghanaian Republic.